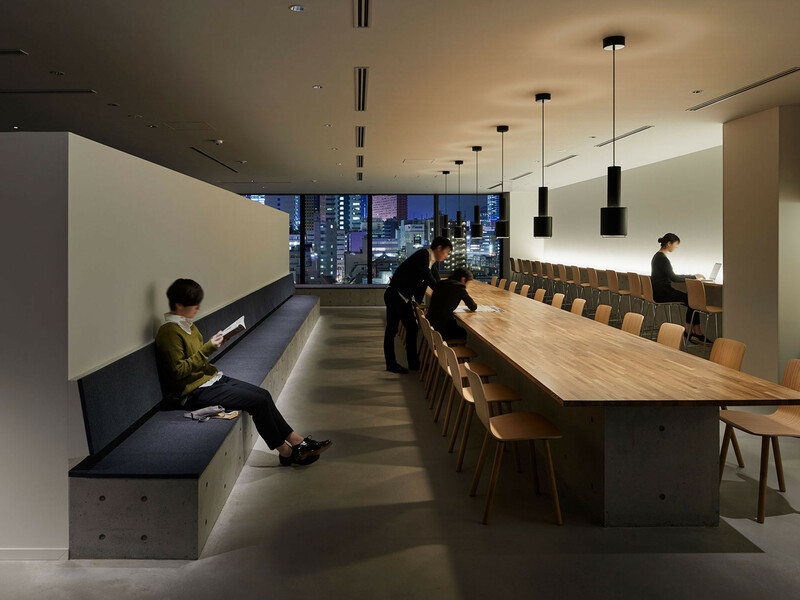 The lounge + desk area on the eighth floor is situated by a large window that has a panoramic view of Shinjuku. Please use the secluded desk booth when you need privacy for work or study, or use the large table or benches to enjoy the conversation with your friends or unwind and relax. nine hours is open 365 days a year, offering stays for prices starting at just 4,900 yen. Reserve quickly and save with our early bird discount plan.For your convenience, check in anytime.Drop off your luggage before sightseeing or take a quick shower before dinner. Our flexible services accommodate your personal plans. The first 1 hours is charged at 1,000 JPY, with 500 JPY charged for any additional hour thereafter. Usage of bed and shower is included in these prices.Any time between 13:00 and 21:00. Refresh yourself with a nap or shower, or use the lounge as a personal office. The usage of the shower is charged at 700 JPY, and can be used anytime during your 1 hour stay. We have complimentary towels, shampoos, and body soaps ready for your use so please come empty-handed.Free to use 24 hours a day. Please use freely to freshen up before your sightseeing, work or during your transit. ninehours has separate facilities for men and women. After putting/storing your belongings in the locker, change into our exclusive ninehours clothing. Bath towels, shampoo, conditioner and toothbrushes are provided. Please enjoy a restful sleep in our comfortable capsule unit. 2. Lockerninehours has separate facilities for men and women. After putting/storing your belongings in the locker, change into our exclusive ninehours clothing. 3. ShowerBath towels, shampoo, conditioner and toothbrushes are provided. 4. Sleeping PodPlease enjoy a restful sleep in our comfortable capsule unit. Check-in begins at 13pm and you have until 10am the following morning to check out. There are no extensions. All guests must check out daily. While lockers are reserved for you throughout your stay, sleeping pods are not available for use between 10:00 - 13:00 to facilitate cleaning. Please ensure to take your belongings with you or leave them in the lockers when going out. We apologize for the inconvenience and thank you for your understanding. If you are arriving later than 24:00, please call us at 03-5291-7337. If we have not heard from you and you have not arrived by 24:00, your reservation will be cancelled. Payment is required in advance, at the time of check-in. For consecutive stays, payment for each day should be made separately at the time of check-in. Payment can be made by cash or via credit card (VISA, Master, American Express, JCB). Luggage that does not fit in the lockers can be checked at the front desk, even after you have checked out. We will only hold your luggage on the day that it was checked. This does not include valuables. You are responsible for the safety of your valuables. You can check your luggage at the front desk if you arrive before the check-in time.If you are sending us your luggage before your stay, please send it to arrive on your check-in date, specifying the guest name (in alphabet) and the check-in date on your commercial invoice. A bath towel, face towel, loungewear, and a toothbrush can be found inside your locker. Hair dryers are located on wash room. Shampoo, conditioner, and soap are provided in each shower unit. Sleeping pods measure 110cm wide by 220cm deep by 110cm tall. Each sleeping pod features our Sleep Ambient Control System for lighting control. There are no laundry facilities (washing machines) on the premises. Please refrain from eating and drinking in your sleeping pod. Damaged or sullied bedding, intentional or otherwise, is subject to a 5000 yen cleaning fee. Children over 7 years of age will be charged the adult rate. Boys and girls are to have separate sleeping pods. Children between 4 and 6 years old can sleep in the same sleeping pods as their parents/guardians of the same gender at half the adult rate. If only using the shower children under 6 years of age will be charged half the adult rate. Minors under 16 years of age staying by themselves will need the consent of their parents or guardian. Click here to download a parental consent form, and submit the completed form to the reception upon arrival.